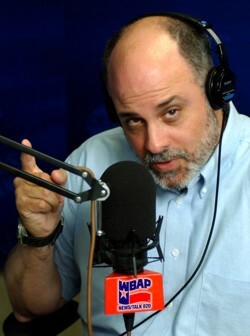 Flipping around the radio dial the other day I made a pit stop on Mark Levin’s program for about 90 seconds, about as long as I can take listening to most conservative talking heads lately. It’s not that we don’t desire similar things (e.g., the defense of marriage as one man and one woman, an end to the evil of abortion, and a government that doesn’t mandate despicable practices), it’s just that I’ve come to realize what most of them don’t even know about themselves; they are champions of a remedy that is utterly destined to fail. It has become increasingly difficult for Catholics over the last 40 or so years, thanks to the Second Vatican Council and the behavior of the hierarchy in its aftermath, to realize that the U.S. Constitution is painfully at odds with authentic Catholic doctrine. It always has been and it always will be, but you wouldn’t know it thanks to the rhetoric of American prelates and neo-con Catholic icons like George Weigel, who never tire of beating the buzz phrase “our first, most cherished freedom” into the heads of anyone unfortunate enough to be trapped within hearing distance. It’s time for Catholics who are politically conservative to wake up, and to assert their citizenship. Look, I’m as patriotic as anyone I know. My grandfather came to this country all by himself as a teenager with next to nothing in his pockets, and he made great sacrifices for my father and for me and for my children, and I am deeply indebted to him for his heroism. Even so, I am proud to say that I’m Catholic first and American only secondarily. Don’t get me wrong, being an American is a great privilege, but that’s not going to get us to Heaven; being a faithful Catholic is what will get us to Heaven, and as such, I cannot avoid the uncomfortable truth that the U.S. Constitution, in particular its approach to religious liberty, is fatally flawed. And why is it flawed? Because it attempts to sustain the unsustainable by avoiding the exclusive rights of absolute religious truth in a world that is ultimately ruled by Christ the King who is Truth incarnate. Wake up! This nonsense will never end. A bona fide “moral conviction” is whatever the Hell the ruling party tells you it is. So, what can we do to assert our citizenship in the Church and the Sovereign rights of Christ the King, at a time when even the sacred hierarchy is unwilling to do so?